Greetings from Mammoth CA, where we just got some much needed snow. This week I am working on Scrap Crystals, my UFO for February. This was started in a workshop in October 2014 with Bonnie Hunter. 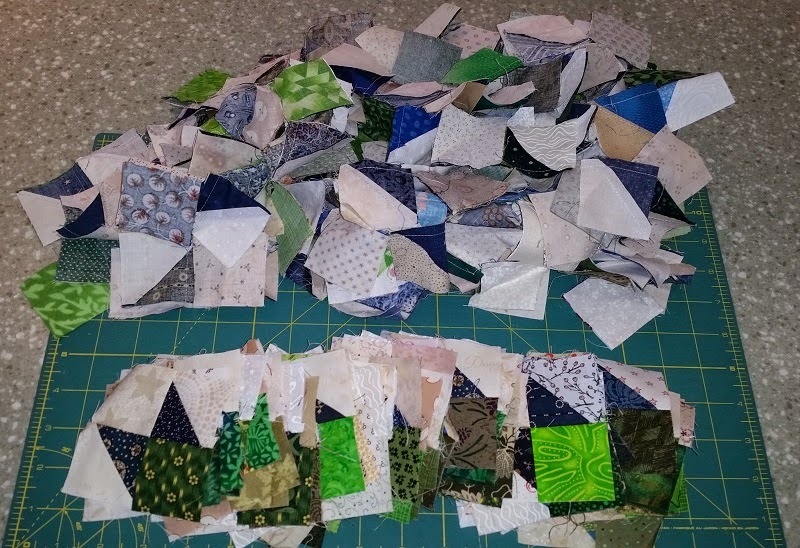 I have two of the blocks done and a whole big pile of broken dish units to sew into the rest of the blocks. Busy sewing this afternoon. What is on your design wall this week?? 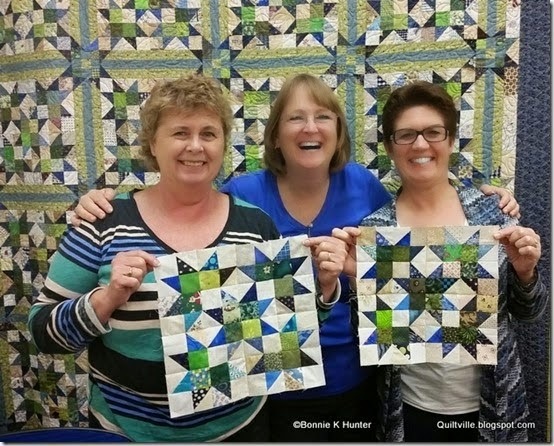 Check out more at Patchwork Times. Have a great week sewing and stay warm! Looks like you and Sandi had lots of fun with Bonnie. I hope you made much progress yesterday, and make even more today. Stay safe and warm!